x1. 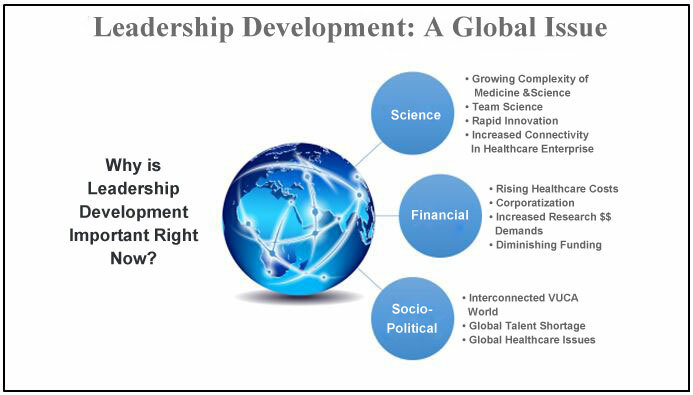 Gundling E, Hogan T, Cvitkovich K (2011) What is Global Leadership: 10 Key Behaviors that Define Great Global Leaders. Boston, MA: Nicholas Brealey. x2. Center for Creative Leadership (2015) White Paper. CCL: Greenville, NC. x3. Wiseman L (2010) Multipliers: How the Best Leaders Make Everyone Smarter. New York, NY: Harper Collins. x4. DDI (2016) High-Resolution Leadership: A Synthesis of 15,000 Assessments into How Leaders Shape the Business Landscape. Development Dimensions International (DDI). x5. Kouzes JM, Posner BZ (2017) The Leadership Challenge: How to Make Extraordinary Things Happen in Organizations. Hoboken, NJ: John Wiley & Sons. x6. DDI (2016) Ready-Now Leaders: 25 Findings to Meet Tomorrow’s Business Challenges. Global Leadership Forecast 2014/2015. Development Dimensions International (DDI). In this rapidly changing world, there is a real demand for leaders and a growing concern with the lack of individuals capable of assuming these challenging roles. Health care shares this dilemma of being an increasingly complex industry with a dearth of leadership talent. From the perspectives of science, finance, and socio-politics, health care is in a state of turbulent change making competent leaders a must for future sustainability (Figure 1). Science and medicine are growing in complexity. Innovation is rapid and new drugs, treatments, and technologies are flooding the landscape, challenging health care workers to keep up and institutions to readily adapt. The financial demands of health care are overwhelming. Research is costly and funds are diminishing. Treatments are more and more expensive. Insurance providers are competing to survive. Health care plans are complex and the choices mind numbing for individuals. As for health care institutions, they are struggling to survive. New networks, partnerships, and corporate arrangements are being tested. Global partnerships are springing up all over the world (U.T. MD Anderson Cancer Center in Houston, Texas has 36 sister institutions across the globe and like many health care centers, it is striving to expand this network nationally and internationally). Socio-politically we are a global community operating in a volatile, uncertain, complex, and ambiguous (VUCA) environment. Health care issues in various parts of the world can quickly become local. 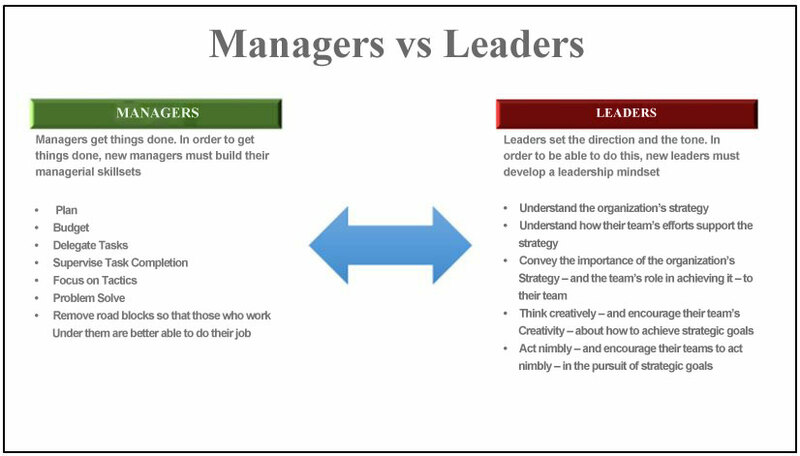 Understanding the context in which leadership takes place is vital but it is interesting to note that research from the Center for Creative Leadership in North Carolina indicates that regardless of the country of origin, leaders tend to view effective leadership in a similar way . No matter where you are in the world, for you to be successful as a leader you need to have certain skills, behaviors and attitudes. Leader comes from the word laedan which means to guide. A leader guides followers. A servant leader empowers followers and engages them. Leading does not mean to tell, to direct, to order, to command, to suppress the opinions of others, to dominate or bully. In the words of Liz Wiseman, author of Multipliers: How the Best Leaders Makes Everyone Smarter, it is not how much a leaders knows, but rather how much access a leader can get to what others know. A true leader brings out the best in people . At MD Anderson Cancer Center the Jim Kouzes and Barry Posner definition of leadership from their book The Leadership Challenge is shared in the leadership development programs and that definition says leadership is the art of mobilizing others to want to struggle for shared aspirations. Note the words art, struggle and shared aspirations. Their Five Practices of Leadership highlight what leaders must do: model the way, inspire a shared vision, challenge the process, enables others to act, and encourage the heart. Keep in mind that Amazon lists over 180,000 books on leadership. The definitions are endless and so are the stories of what good leadership looks like. A leader has to be a learner and open to self-reflection, personal feedback, and deliberate growth. The context of leadership is constantly changing and adaptability and nimbleness are vital for success. These are not competencies generally part of medical or research science formal education. Add business acumen to this list as it is becoming increasingly necessary among our oncologists and health care leaders  (Figure 2). Yet in medicine and research science we still tend to promote individuals into leadership positions simply because they are expert clinicians or scientific researchers. The assumption is that since these people have shown themselves to excel at clinical work or research they will quickly absorb whatever skills are necessary to lead because they are smart and, therefore, well equipped to learn leaders. 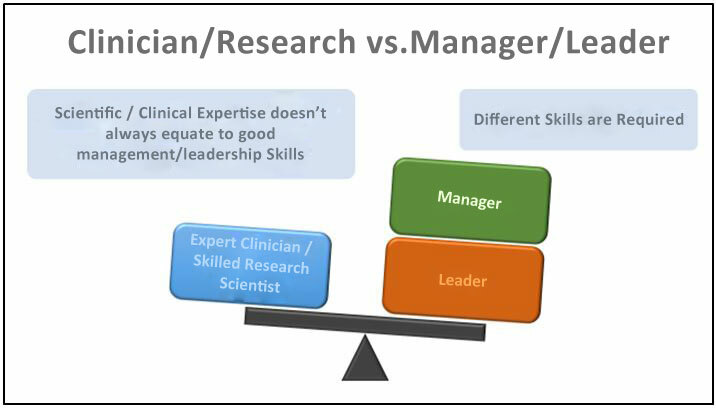 But the knowledge and skills of management and leadership are entirely different from the skill sets required of clinicians and scientists (Figure 3). So, how do we prepare individuals for leadership positions in health care? 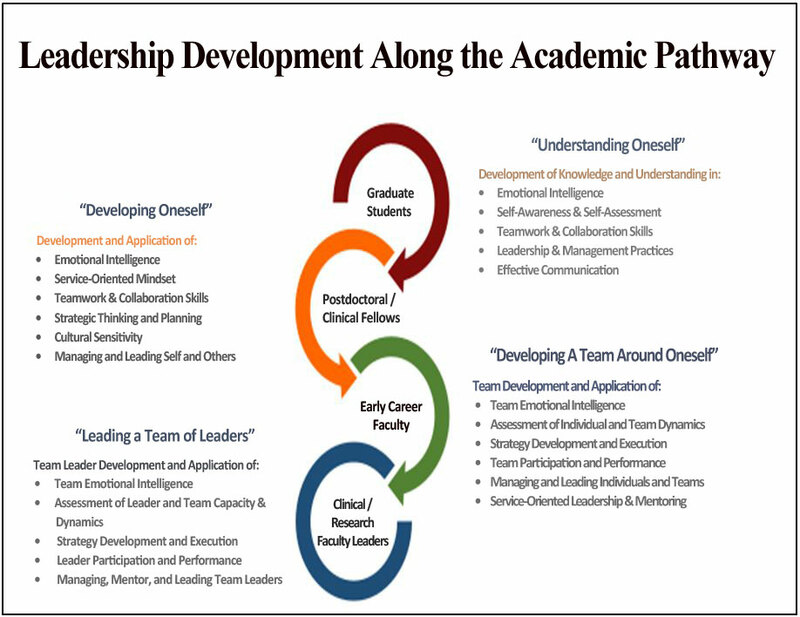 In 2002, the University of Texas MD Anderson Cancer Center launched a faculty leadership development program at the request of the president and the chief academic officer. Both felt their faculty leaders were not well prepared for their roles and were making costly mistakes in recruiting and developing faculty and in running their academic departments, medical centers and clinics. The first program called the Faculty Leadership Academy (FLA) was launched in 2002 continues annually to this day. The FLA has graduated over 400 faculty leaders and is considered one of the models of leadership development in medicine in the United States. Many institutions have since begun their own programs. The vision for the FLA was competent, adaptable, and innovative leaders functioning in a relationship-centered, collaborative leadership culture who advance the institution’s vision for Making Cancer History. The business case for the FLA stated that a clear vision and strategic approach to leadership excellence was the institution’s greatest opportunity to compete successfully and thrive in the complex economic realities of healthcare reform and the global business environment. The FLA is designed specifically for faculty in formal leadership positions such as chairs of departments, center directors, medical directors, and executive leaders. As of 2017, more than 400 faculty leaders have participated in the program and every year there is another cohort of 30. The curriculum consists of 78 hours of content delivered over eight months (an initial two-day retreat followed by one-day monthly sessions). Each participant receives a full 360 report consisting of feedback from direct reports, colleagues and the individual’s supervisor. The other assessments include the Myers Briggs Personality Type Indicator, the Thomas Kilmann Conflict Mode Instrument, and the Change Style Indicator. The participants also receive three hours of executive coaching from an external consultant. The FLA quickly established itself as something most faculty wanted to experience so another program called the Heart of Leadership: Core Skills Program (HOL) was designed for more junior faculty often not in formal leadership roles. These faculty stated their need to start developing leadership skills far earlier in their careers and long before the possibility of becoming a department chair or institutional leader. The HOL has been ongoing since 2004. The Heart of Leadership has had close to 800 faculty participants since 2004 and is open to all faculty. Every year, there are two cohorts of 30. Interactive sessions focus on interpersonal skills and teamwork, management and leadership. In 2013, the Faculty Supervision and Management were added to the leadership development list of options. This newest program introduces junior faculty to the skills young clinicians and basic research scientists need to join multidisciplinary care teams and research labs. Leadership development programs are also offered to graduate students and postdoctoral and clinical fellows. U.T. MD Anderson Cancer Center has created a culture of leadership development which allows all leaders the opportunity to learn more, build better skills, and adapt to the changing context in which individuals must lead. Advanced leadership development seminars on topics such as change management, influence and persuasion, strategy, mastering difficult conversations, and so on. The outcomes from these programs have been significant. Well over 100 faculty have been promoted to more senior leadership roles. Many faculty have achieved further leadership accreditation by taking MBAs, MHAs, and other advanced degrees or certificates related to management and leadership. The language of leadership development has taken hold in the organization so that leaders have the same references and vocabulary. Major organizational changes have been undertaken with faculty and staff leaders partnering in these initiatives. The demand remains high for more programs, coaching, and personal development opportunities. We have leaders who understand the need to be risk takers, people developers, good partners with each other, collaborators across departments and silos, and to take on and manage the constant change that is health care today. This is one example of how a major cancer care research and clinical center has invested in leadership development. With 20,000 employees, MD Anderson Cancer Center has leadership programs on both the staff and faculty side and joint programs for senior administrative and faculty leaders. Of course, many institutions do not have resources to put into consultants and programs. This should not deter them from encouraging leaders to develop their skills and knowledge. One of the most highly regarded programs we do is a bi-monthly meeting of chairs of departments where there is no agenda except discussing leadership challenges . This was begun in 2008 and continues to this day. It is held at lunchtime for an hour with sandwiches and drinks provided. The participants decide what they want to discuss with each other. The topics vary widely from how to handle difficult faculty interactions to how to develop a business case to hire new staff . Leaders teach leaders and that is the best way to do it. There are also many executive development programs in business schools and institutes all over the world that offer short seminars to lengthy workshops on topics related to management and leadership. There are also many excellent online courses through Coursera.org and Edex.org are groups delivering online content. Instructors are often the best teachers from academic departments in renowned universities. These courses can be done often for free or for a reasonable fee. Conferences such as AORTIC and other professional societies should offer presentations and workshops related to leadership development at their annual conferences. Certainly, many of the faculty presenters can do panel discussions or talks about their own leadership development journeys and how they continue to develop their skills. A leader is a learner and the learning never stops. Amazon lists well over 180,000 books related to leadership. We are just starting a leadership book club for MD Anderson that is being supported by our new president, a dedicated learner himself. If you are a new leader, find a mentor or hire an executive coach. Many leaders have coaches they have worked with for years. Coaches can help identify blind spots and will help a leader focus on developing needed skills or behaviors. Leading effectively is all about the soft skills. In fact, the soft skills of communication, relationship building, listening, resolving conflict, persuading and influencing, for instance, are the hard skills. Emotional intelligence often distinguishes the very best and skilled leaders from the rest so do not forget to look at yourself realistically and decide where you need to put your effort to become a better leader. For all of us, leading is a challenge and a test of our discipline, openness, ability to learn and adapt. Being a leader puts us on a path filled with heart because we have chosen to serve others and even serve the world.